published … Your Wedding Portfolio – cover shot! weekend’s Wedding Dreams wedding show at Bingemans. 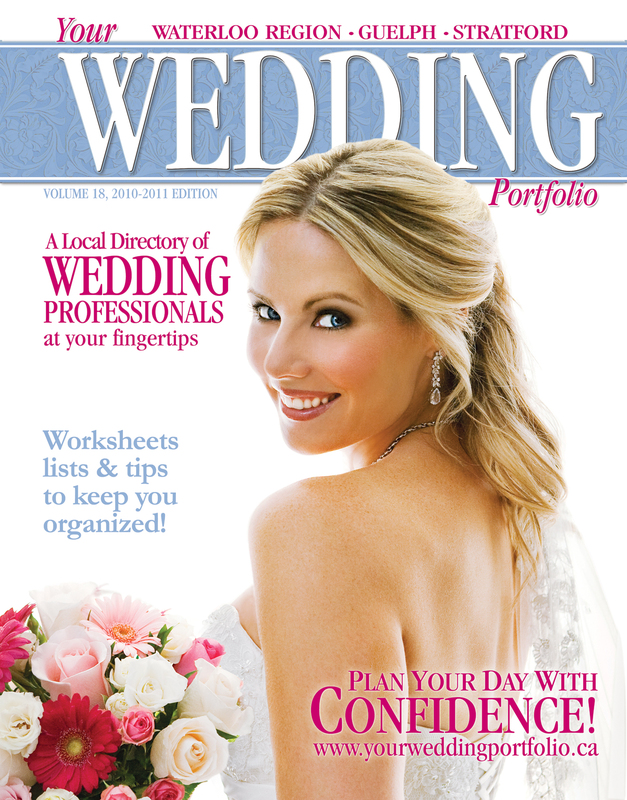 ‘Your Wedding Portfolio” is a fabulous wedding planner, full of valuable information & loaded with contact info for local vendors. It also features reality wedding stories, and if you are a recent bride, you may even find yourself in the many photos included. Our cover bride, Julie, married her dream man this summer. Grab a copy & find out why her day was so special. A beautiful bride, inside & out! Now, let’s see if we can do it again next year! Anne, we just wanted to say ‘thanks again’ for everything! It was great to see you on the weekend and thanks for the poster! My Mom was so thrilled to have the portfolio as a keepsake and I was so happy they picked a photo of her for the inside. I’ve already had several engaged friends tell me they made a beeline to your booth at the show. They were so impressed with your gorgeous albums. We couldn’t have imagined such a special outcome to our perfect day and will always treasure this opportunity. You’re awesome and we couldn’t be happier!